Investors take note: The value is in the land and the garage. The mobile home is a 2 bed, 2 bath but is in poor condition and not mortgageable. 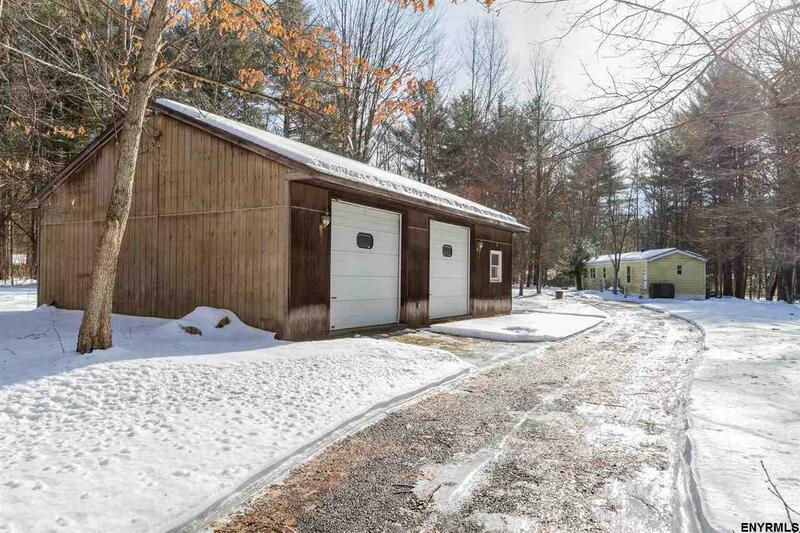 The garage is a huge, 36'x26', 2 bay garage with tall 9 foot doors and an office space. The prior owners ran a business out of the garage. It has a dug well & a 1000 gal septic system that has just been inspected and repaired. Come put a new mobile, modular or stick built home on this property. Use the garage for a business or storage. Cash only. Agent is owner.